Mark your calendar. Saturday, May 14, 2016. On this day, for the first time ever the European psychodrama known as the Eurovision Song Contest comes to the United States. Stream the event here or catch it in the US on the Logo channel. Here’s a quick overview for non-Europeans. Eurovision is the annual, continent-wide song contest — rather like football’s World Cup (soccer, for my US readers). Over 40 nations compete for the honor of best pop song. Since its origin in 1956, Eurovision has expanded beyond the boundaries of Europe to include entries from Israel, North Africa and even Australia. Around 200 million people tune in to watch the finals. The winner is chosen by a panel of judges from each nation, combined with votes from viewers. This year’s event is broadcast from Stockholm — the venue is selected based on the nationality of the previous year’s winner. What makes it so popular? Well, it’s camp and kitschy. But, above all it’s a nationalistic festival wrapped in bubblegum: patriotic one-upmanship under the guise of pop. Importantly, it allows nations to exhibit their superiority over neighboring countries without bloodshed. Let’s face it — if you’re British, there is nothing better than trouncing the French in Eurovision. Read more details from NYT here. 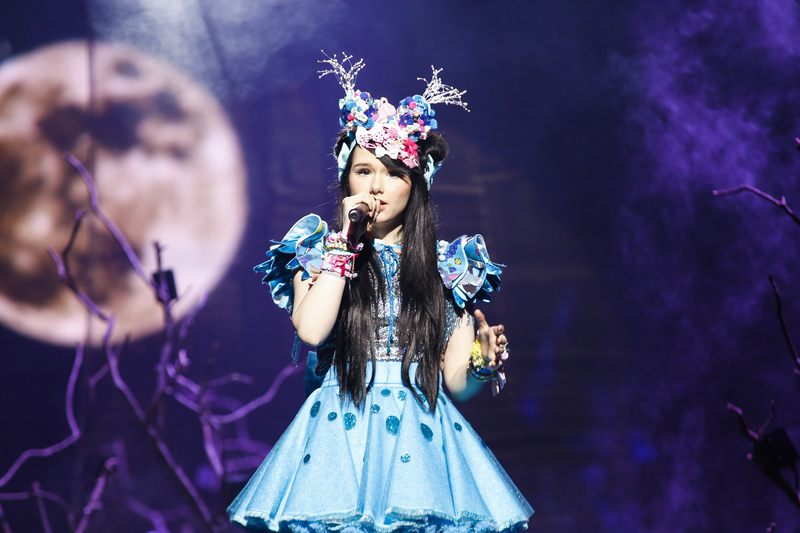 Image: Jamie-Lee represents Germany in the 2016 Eurovision Song Contest with Ghost. From the semi-final. Courtesy: Thomas Hanses (EBU). Ever-present in Europe nationalism continues to grow as austerity measures across the continent catalyze xenophobia. And, now it’s spreading westwards across the Atlantic to the United States of America. Well, actually to be more precise nationalistic fervor is spreading to Texas. Perhaps in our lifetimes we’ll have to contend with USANIT — the United States of America Not Including Texas. Seventy-seven thousand Texans, so far, want the Lone Star to fly again across their nascent nation. Less than a week after Barack Obama was re-elected president, a slew of petitions have appeared on the White House’s We the People site, asking for states to be granted the right to peacefully withdraw from the union. On Tuesday, all but one of the 33 states listed were far from reaching the 25,000 signature mark needed to get a response from the White House. Texas, however, had gained more than 77,000 online signatures in three days. People from other states had signed the Texas petition. Another petition on the website was titled: “Deport everyone that signed a petition to withdraw their state from the United States of America.” It had 3,536 signatures. Given that the state of Texas maintains a balanced budget and is the 15th largest economy in the world, it is practically feasible for Texas to withdraw from the union, and to do so would protect it’s citizens’ standard of living and re-secure their rights and liberties in accordance with the original ideas and beliefs of our founding fathers which are no longer being reflected by the federal government. Activists across the country have advocated for independent statehood since the union was restored after the end of the Civil War in 1865. Texas has been host to some of the most fervent fights for independence. Daniel Miller is the president of the Texas Nationalist Movement, which supports Texan independence and has its own online petition. Miller is not a fan of the word “secession”, because he views it as an over-generalization of what his group hopes to accomplish, but he encourages advocates for Texan independence to show their support when they can, including by signing the White House website petition. Miller has been working for Texas independence for 16 years. He pointed to last week’s federal elections as evidence that a state independence movement is gaining traction. Miller pointed to the legalization of the sale of marijuana in Colorado and Washington, disobeying federal mandate.